The best payroll software for accountants integrates with existing accounting software to give bookkeepers and CPAs easy access to client accounts and allows them to manage multiple clients’ payroll processing through one login. The best software can cost your clients from $5-$45 per month plus fees in the range of $1-$6 per month per employee. Gusto (Best Overall) Accountants who want mobile payroll, benefits, and HR self-service for their clients. QuickBooks Intuit Online Payroll QuickBooks users—thanks to easy integration, dashboard tools, and pricing discounts. ADP Accountants and bookkeepers who want to increase revenue through payroll software sales. Paychex Accountant HQ Good alternative to ADP for CPAs—at a slightly higher price point. Wave Payroll Accountants who want to provide an easy-to-use payroll tool to their clients. OnPay Firms that want to offer clients pay-as-you-go workers' compensation. Patriot Accountants and bookkeepers who want free payroll for their own staff. To determine the best payroll software for accountants, we evaluated all the tools that help bookkeepers and CPAs manage payroll on behalf of their clients. The best options are cloud-based payroll software tools that let accountants view their client data via a dashboard, and provide price breaks or incentives for client sign-ups. Price – Client pricing that’s affordable for small businesses with accountant discounts. Ease of Use – An easy way to manage payroll processing for multiple business entities. Payroll – Able to process payroll earnings for W-2 and 1099 workers through multiple pay cycles, and able to process common deductions, including payroll taxes and tips. Tax and Labor Law Compliance – Ability to process state, federal, and local taxes, with rules to ensure state and local labor law compliance—like overtime and sick leave. Reporting – Standard and customized reporting to support multiple business needs. Employee Self-service – Tools for employees to view pay stubs and forms. (Optional) Benefits – Ability to provide health insurance and other employee benefits. (Optional) Interfaces – Software that can interface with clients’ other business systems, such as their CRM system for bonuses or time clock for hours worked. (Optional) Workers’ Compensation – Some of the software can provide workers’ compensation insurance to your business clients in addition to processing payroll. (Optional) Garnishments Processing – Some of the software can streamline the deductions and payments process for employee garnishments. Based on these criteria, we find Gusto to be the best overall payroll software for accountants. It’s easy to use, affordable for the smallest of small businesses, and provides accountants with a client dashboard. It also has bonus features like employee self-service, e-signature of W-2s and I-9s, online document storage, a mobile app, an employee dashboard, and automated payroll processing. We recommend Gusto as best payroll software for accountants serving small businesses because it’s intuitive for your clients and provides a self-service dashboard and direct deposit for your customer’s employees. It’s super affordable and gives your smallest of clients the ability to offer employee benefits, a mobile self-service portal, and health insurance to their staff. Gusto’s dashboard makes it easy to manage multiple payroll clients and add new ones. With standard HR features included, your clients won’t be tempted to jump ship when they need workers’ compensation insurance, healthcare, online document storage, or a structured onboarding process. In addition, Gusto is the go-to payroll vendor integration for many small business accounting software tools, including QuickBooks, Xero, and FreshBooks. It also interfaces with the timekeeping tools your clients use, like Homebase, When I Work, and TSheets. That saves you (and your clients) from doing double data entry. It’s free for you to use Gusto as an accountant. Gusto charges your clients a flat rate of $39 per month plus $6 per month to $12 per month per employee. In addition, you can earn commissions (or pass the savings along to your customers) of 10% to 20% off Gusto’s prices as you grow from three to 50 or more clients. In addition, Gusto doesn’t charge extra to co-brand your dashboard, as Patriot does. Gusto offers upgraded HR features in their Complete and Concierge packages, as well as human resources consulting services if your clients choose to upgrade. However, their Core payroll package provides full-service payroll and much more at an affordable price. Gusto provides all the standard payroll processing features, including the ability to pay both 1099 contract workers and W-2 employees on any pay cycle. They provide you (the bookkeeper or accountant) with a customized dashboard you can access within one login; from there, you can see and manage all your client payroll data. They also provide an unlimited number of payroll runs—there are no surprise charges if you have to make a correction or process a one-off bonus run. And unlike other payroll-only software, once your client’s employees have an account, they’ll have it for life. That means that historic data, such as last year’s W-2s, will be available to them, even after they leave your client’s employment, saving former employees from calling you to obtain historic data or forms. Gusto provides federal, state, and local labor law compliance. In addition, they do all the filing for you—from new hire reporting to quarterly and annual payroll taxes. However, unlike QuickBooks Intuit Online Payroll and OnPay, they don’t guarantee their calculations, nor do they offer to pay penalties that your clients may receive for mistakes made. Gusto client setup is done with a guided, online step-by-step process. New hires onboard themselves, and the interface is clean and intuitive for employees as well as your client’s HR/payroll rep. When you sign up as an accounting partner, you’ll get a dedicated Partner Advisor assigned to help you migrate all existing client data at no charge. They’ll then continue as your consultant to answer questions and help you with client data processing issues. Gusto offers several standardized payroll reports, such as a payroll journal and year-to-date employee earnings and taxes. Their reports are customizable for your clients and downloadable into CSV or PDF format. That may reduce the number of client requests you get for custom payroll reports, as well as allow you to serve as a payroll advisor by providing your clients with insightful reporting data. Gusto integrates with free and low-cost business tools like Homebase for free timekeeping and Xero for low-cost accounting. It also integrates with QuickBooks and FreshBooks. That makes it attractive to small business owners who may not have a huge software budget. In addition, Gusto has an application programming interface (API) so you and your tech-savvy clients can integrate any business software with Gusto (e.g., if they want to provide bonuses based on POS sales). Gusto goes well above typical payroll software, which is one of the key benefits of using it for your clients. Gusto provides health insurance, workers’ compensation, 401(k), and many other employee benefits, making it an easy sell to your small business payroll clients. Workplace compliance posters can be downloaded free from their website. The employee self-service and mobile-optimized website allows employees to do many tasks beyond viewing pay stubs and tax forms. They can e-sign documents, input leave requests, change their own data, and look up benefits and retirement information. That kind of self-service eliminates a lot of time your clients (or you) might spend on back-and-forth phone calls and emails. Gusto has two U.S. offices, and provides you with a dedicated support resource you can contact by phone or email. In addition, your clients can go to them directly with questions. Their office hours are Monday through Friday from 6 a.m. to 5 p.m. Pacific time. In addition, their online chat allows you and your clients to ask questions of a real human, while their support center provides helpful information complete with screenshots. Gusto is great for your small business clients, such as those with 100 or fewer employees. However, once the employer moves past 50 employees, Gusto doesn’t have automated ACA reporting function like ADP and Paychex have. Once an employer reaches 100 employees and needs to comply with EEOC reporting, Gusto doesn’t currently have a recruiting module, so EEOC hiring data would need to be tracked manually. And, their support hours aren’t 24/7. In a survey of Gusto accounting partners, 80% said they spend significantly less time running payroll with Gusto, and 90% of those who switched from another payroll platform said that Gusto was easier to use. Gusto receives a solid 4.5 out of five stars on third-party review sites, including ours. What small businesses and their employees like is how easy it is to use. What larger employers don’t appreciate is that it lacks HR features they may need as they scale past 50 or 100 employees. For more information, read our Gusto Review. Gusto is one of the easiest payroll software tools to implement because they do the setup for you, including client setup at no charge. In addition, they offer your clients a free 30-day trial. There’s no charge to you as the accountant or bookkeeper, and you can even earn commissions up to 20% when your clients sign up for Gusto. 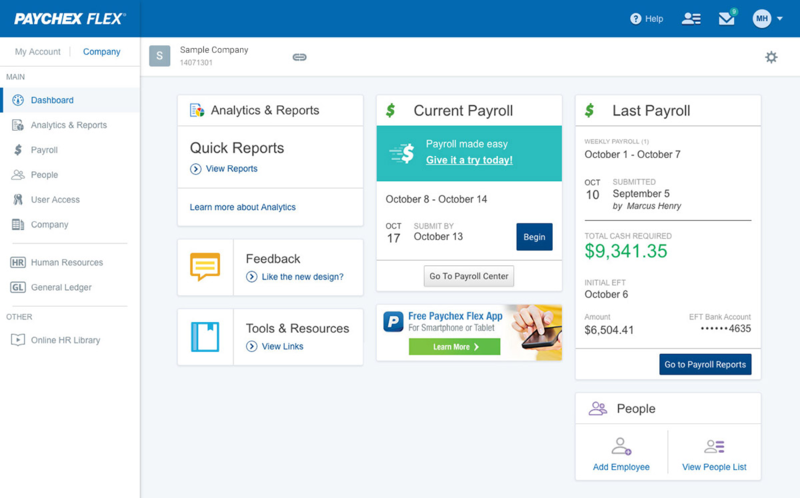 With QuickBooks being the number one small business accounting software, it’s no wonder their payroll tool, QuickBooks Online Payroll, is near the top of our list. It provides seamless integration, costs about the same as Gusto, and allows you to pass volume discount savings on to your clients. In addition, it lets your clients be as involved as they want with customized payroll access. In addition, QuickBooks Online Payroll provides payroll and tax compliance and guarantees the accuracy of federal, state, and local tax calculations. And like Gusto, ADP, and others, you’ll have the means to view your client’s payroll data from one dashboard so that you can manage their payroll process in just a few steps. QuickBooks Intuit Online Payroll charges you a flat rate per client of $45 with a $4 per employee monthly fee. However, to entice you to try it, they’ll give you your first client free for 30 days. The real benefit comes into play with volume discounts. For example, once you have 50 clients, you’ll pay only $12.50 per month for each, plus a $1.50 per month fee per employee. As you can see, the larger your client base, the less you pay per client and per employee. You can pass those savings on to your clients, or use the savings to improve your profitability. They process and file taxes and provide seven pre-configured reports. However, there’s an add-on fee of $1.75 per direct deposit check—that’s a fee you’ll have to pass on to your clients. And you’ll be charged $9 per month per state for states your clients’ file taxes in. These are features Gusto includes in their base price. QuickBooks offers additional payroll products, including Enhanced Payroll for Accountants that starts at $61.50 per month and Full Service Payroll that starts at $65.40 per month plus per-employee fees. QuickBooks Intuit Online Payroll includes all the basic payroll features, such as calculating payroll, processing taxes, and providing direct deposit to your client’s employees. However, if you want additional features like enhanced reporting or automated tax filing, you’ll need to upgrade to their higher tier, Online Enhanced or Full-Service Payroll, both of which are more expensive than Gusto. 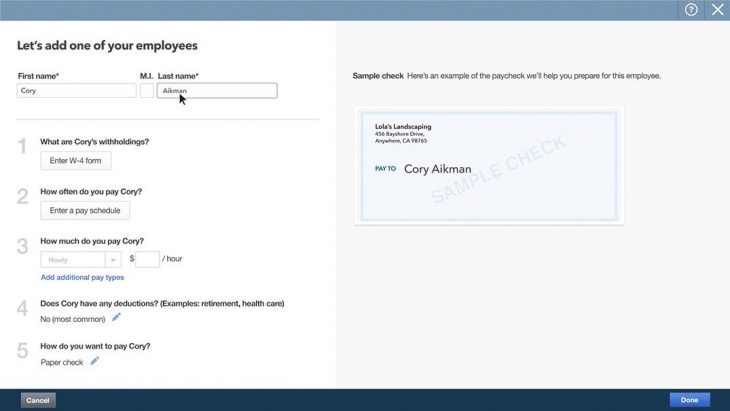 QuickBooks Online Payroll steps your clients through data entry for new hires. 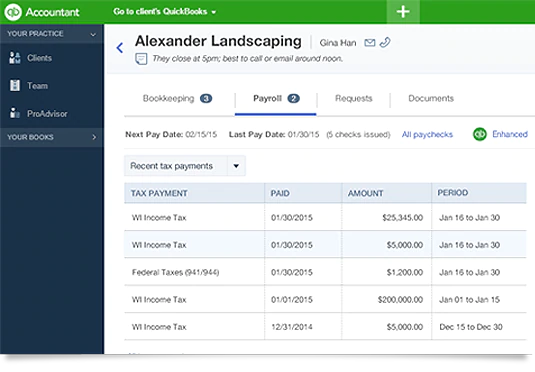 QuickBooks Online Payroll provides you with one-click state payments and tax filings if you upgrade. In addition, they guarantee the accuracy of their calculations so that you can reassure your clients that deductions and payments are done correctly. In fact, they’ll pay any penalties if errors are found (subject to restrictions such as you must provide them with copies of tax returns). QuickBooks Online Payroll provides tutorials and a knowledge base to help you or your clients get their data set up, but they won’t do it for you for free like Gusto will. They offer a reminders feature for payroll runs and tax filing that prevents you from missing deadlines, especially when you have multiple clients. The interface is a bit older and navigation isn’t as intuitive as newer software like Gusto, but loyal QuickBooks users don’t seem to mind. QuickBooks Online Payroll offers many standard reports, such as a payroll summary and employee details. They also offer a report for deductions and contributions, which is helpful when you have to make payments to third-party providers on behalf of employee contributions. You can customize these reports and even set them up to run on a schedule. QuickBooks Online Payroll integrates with QuickBooks (both desktop and online versions), ensuring your payroll data moves into the correct general ledger accounts. As both tools are under the same umbrella, the interface to the general ledger is easier using QuickBooks Payroll than Gusto. In addition, it now integrates with Quicken and Peachtree software in case you or your business clients use those tools. It also has a tool called REST API that allows you to help your clients set up interfaces to billing or point-of-sale software, and they’ve recently added a Payroll API (in beta testing) to add time tracking and benefits integration. In addition, you can customize what data comes across in the interface. What’s nice about using QuickBooks Online payroll is that it can sync with other QuickBooks products for general ledger, POS, and payments, for example. In addition, if the online payroll option isn’t right for your business or your client’s business, QuickBooks also offers a full-service option online as well as assisted payroll that’s synced to QuickBooks desktop. In addition, QuickBooks payroll can manage paid time off, similar to Gusto. QuickBooks has a ProAdvisor program that allows you to earn certification, obtain marketing resources, and get pricing discounts. QuickBooks Online Payroll provides support to you and your clients Monday through Friday from 6 a.m. to 6 p.m. Pacific time via phone and email. They also have hours on Saturdays from 6 a.m. to 3 p.m., which is helpful for clients that employ workers on weekends. One of the drawback of Intuit is that there are upcharges for tax filing and W-2s that Gusto doesn’t have. In addition, time tracking costs $3 per month extra per employee, whereas it’s free with Gusto because they integrate with free timekeeping software Homebase. They also provide no HR onboarding functions for new hires, as Gusto does. In addition, their mobile app isn’t designed for clients—only for you, the accountant. That means there’s no self-service option for your clients’ employees. You’ll also need to set up e-file and e-pay yourself, and finally, they offer no benefits and no worker’s compensation, although they can process those deductions if you set up the accounts yourself. This software gets mixed reviews, ranging from one to four stars out of five. What users tend to like is the native integration with QuickBooks. What they don’t like is that its interface isn’t optimal and that unless you’re upgrading to a much pricier tier, tax filings and year-end forms aren’t managed for you. Here’s what our small business users say about QuickBooks Intuit Payroll. If you’re already a QuickBooks Pro user, the easiest way to access the payroll software is by adding it to your existing QuickBooks accounting package. You may find QuickBooks offers periodic discounts for bundling payroll with their accounting software. ADP offers its Accountant Connect payroll software for free. In addition, ADP lets you earn revenue when your clients choose ADP as their payroll software. ADP, in turn, manages your customer’s payroll process, tax filings, and even common HR needs such as state new hire reporting. It provides you with payroll software for multiple clients, along with tax compliance, forms, and reports. 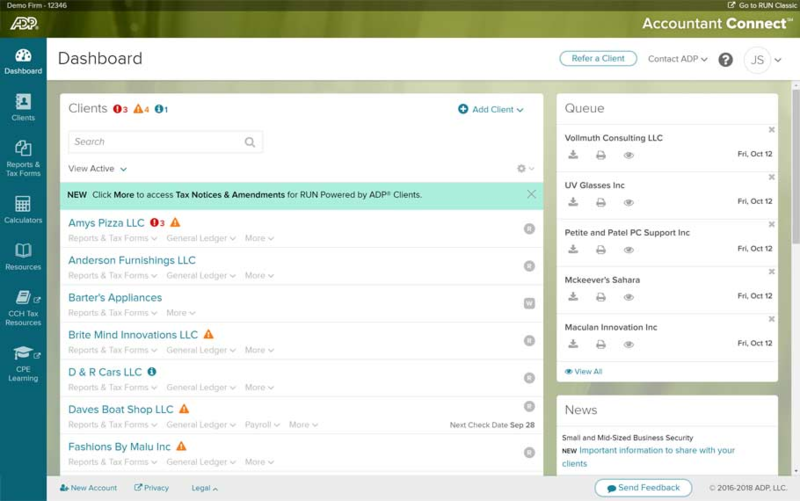 ADP provides you with a client dashboard so you can view all your clients in one place, while ADP runs the payroll processing for your clients. They also provide training you can apply to your continuing education for your certified payroll expert (CPE). The ADP payroll tool, called ADP Accountant Connect, is free to bookkeepers and accountants. Instead, ADP is priced based on the business needs and typically will cost your clients about more than double the cost of Gusto or Wave. For example, ADP would cost a small business about $3,100 per year for 10 employees, whereas the same small business would pay under $1,200 per year with Gusto. With ADP Accountant Connect, you’ll get a mobile-optimized dashboard that lets you view payroll data for all your small business clients with one sign-on. As their accountant, you’ll have access to their payroll summary, be able to view their payroll process, and support them with tax forms and other tools. In addition, ADP provides you, their accounting consultant, with value-added features such as compensation tools to help them make salary decisions, and a tax library so you can quickly respond to their questions. As the number one payroll provider in the U.S., ADP can offer resources that other payroll processors don’t provide—including retirement calculators, health care updates, best-practice tips, tax guides, and even training courses for you to earn credits toward your payroll or accounting certification. Workplace compliance posters can be purchased for an additional cost. ADP can assist your clients in setting up their company and software, but it may take a few weeks, and they typically charge a setup fee. However, once setup is complete, ADP has an icon-based interface along with to-do lists and reminders to help you manage payroll for multiple clients. Through the dashboard, you’ll have access to run your clients’ reports for them. ADP has the most comprehensive list of out-of-the-box reports as compared to the other payroll software we’ve reviewed. Therefore, they’re better able to serve larger employers who need to comply with labor law requirements like EEO, OSHA, COBRA, and FMLA, as examples. ADP has robust software integrations that help you support clients regardless of what general ledger software you use, such as QuickBooks, Xero, or Wave. In fact, if you or your clients use Wave for their accounting, you can save them money by providing invoicing and payments for free thanks to the ADP integration with Wave. You can also export data files from ADP to upload to your client’s other business software. With ADP, your clients will have access to retirement plans like 401(k) and IRA, as well as benefits like group health insurance, similar to Gusto. You can also set them up with ADP’s time and attendance tracking software, and even help them purchase workers’ compensation insurance. That allows you to be your client’s one-stop shop for all things accounting, tax, and payroll related. Like Gusto, these benefits are managed entirely within the system so that your clients don’t have to remember multiple logins. However, with ADP, your clients won’t be able to shop around for workers’ compensation to get lower rates, like they can when you use Gusto. ADP provides support for you as the accountant. They also provide 24/7 support for your clients as administrators, and for your clients’ employees. However, employee support is in the form of frequently asked questions only. Otherwise, ADP suggests that employees contact their HR department (which small businesses may not have). Clients are provided with support by phone and online through the ADP portal, but will be directed back to you if ADP cannot resolve your client’s issue. You may not want your clients to have to pay ADP rates for their payroll processing, as they tend to be higher than other options like Gusto, QuickBooks, and Patriot, and much higher than free payroll software. In addition, ADP charges by payroll run, and is, therefore, more costly for small businesses running weekly payroll cycles, or those needing to run payrolls on multiple cycles. In fact, you may want to join ADP sales calls with your clients to ensure they don’t get upsold on features they don’t yet need. Both CPA Practice Advisory and Accounting Today awarded ADP with 2017 recognition. In 2018, their ADP Run (small business payroll software) received recognition from CPA Practice Advisor. Our ADP Run reviewers rate ADP four out of five stars, with the primary drawback being client price and upcharges for advanced features or payroll processing changes. Check out what small business owners say about ADP in our ADP Run review. You can sign up for ADP by contacting their sales team by choosing the Sign Up Now option on their website. Keep in mind, though, that they may try to upsell you and your clients, so prepare your needs and questions in advance before you contact them. We recommend Paychex Accountant HQ for those who manage payroll for clients using Paychex Flex software. You’ll have a dashboard to manage employees and payroll across all clients, and you’ll be able to provide your customers with robust analytics and reports, similar to ADP. Paychex is priced slightly higher than ADP, but adds a payroll specialist dedicated to each client in addition to 24/7 support. 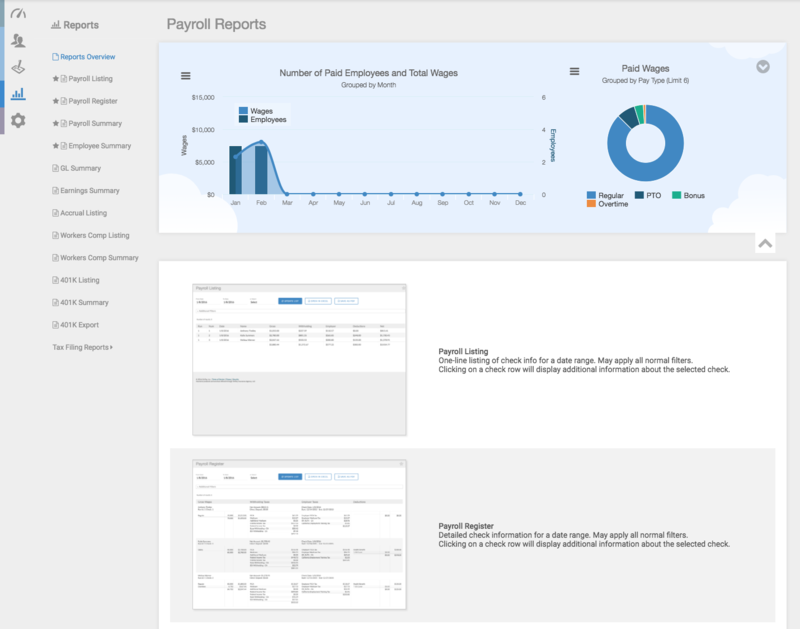 Payroll dashboard for a sample company using Paychex Flex. With Paychex, you can be as hands-on (or hands-off) as your client desires. They can run payroll with your oversight and support, or you can run payroll on their behalf. That provides you flexibility in terms of what services you provide each client. Like ADP, Paychex makes self-study CPE courses, templates, and HR/payroll resources available to you as part of their service, allowing you to serve as the go-to payroll consulting resource to your customers. Paychex doesn’t provide pricing on their website, and instead schedules a phone call with prospective customers, like ADP. Their starting prices range between $6 and $12 per employee per pay period on up and are based on client size, whereas other providers charge by month (not by pay period). That doubles the price for those who pay bi-weekly and quadruples the price for businesses running payroll on a weekly cycle. They also charge a setup fee of about $200 and have upcharges for W-2 and 1099 tax filings, as well as for processing wage garnishments. Thus, they’re likely the most costly payroll software for clients among all the software we reviewed. One bright spot is that Paychex offers a six-month money back guarantee for clients of payroll service providers, and will credit them for their first month’s process and service fees as long as they’re a new client referred by a CPA as part of their AICPA/Paychex Partner Program through CPA.com. Paychex offers all the required payroll features you’d expect, from processing W-2 and 1099 payments to direct deposit, payroll taxes, and deductions along with benefits and insurance. However, unlike ADP and Gusto, they outsource their benefits through a third party, and like ADP, they charge extra for features like workplace compliance posters. Paychex maintains relationships with the IRS and local agencies to ensure your payroll processing is compliant with current legislation. They also provide resources to educate business owners on payroll compliance issues. Like ADP, complex software like Paychex takes more time to set up, and once your clients are set up, the interface is more traditional and less intuitive than newer online software tools like Gusto. You start by having your clients send their data to a Paychex rep, who will set up the accounts for you to double-check. Like ADP, Paychex has been around long enough to have created an entire library of reports that can be customized—160 in all. Or, you can create your own based on what each business client wants to seek. You can also download, export, or schedule reports to run, as you can with ADP. Similar to ADP, Paychex has been around for a while (45 years) and developed integrations to other HRIS and accounting systems like Ximble, Humanity, Intacct Now, and Xero. Its API also allows software developers to customize interfaces to/from Paychex. Using the Paychex Online Services, you’ll have a single sign-on that gives you access to multiple client accounts and any add-on Paychex tools and services they use, such as health insurance or retirement benefits. In addition, the Paychex dashboard can be viewed from your smartphone. Paychex, like Gusto and ADP, offers many additional HR features, such as employee onboarding, workers’ compensation, health benefits, insurance, and retirement plans. However, each of those services costs extra, whereas they’re included with Gusto. They also offer recruitment and applicant tracking, which Gusto does not offer, and employers with 100 employees or more may want. Like ADP, Paychex provides dedicated payroll phone support to you and your client’s payroll rep 24/7. Your clients can also get online help via email or chat from 8 a.m. to 8 p.m. Monday through Friday. And they provide help solutions online for your clients’ employees. Paychex is the highest priced of all the services we reviewed, which may make it a tough sell to your smaller clients who may not need extra reporting and features. In addition, it’s not as intuitive for a small business to use if you need them to get online and make changes. In addition, unless you’re a CPA who goes through their AICPA Paychex partner program, you may not be eligible for client discounts or lower rates. Like ADP, Paychex is endorsed by several tax and accounting providers as a preferred partner. Small business owners give Paychex Flex a solid four out of five stars, with an appreciation for the portal, mobile dashboard, and reporting features. Some users complain about pushy sales folks and inconsistent support experiences. Read our Paychex Flex payroll software review for more information. To get a quote for your business or your client’s payroll needs based on the features you want to offer, each client’s company size, and the states that you provide services in, you’ll need to visit their website and request a free quote. You may need to be accepted as a CPA partner in order to earn discounts. Wave payroll is a great low-cost add-on for those already using free Wave accounting software due to automated journal entries and tax filings. Like Gusto and the other software we reviewed, Wave can pay both contractors and employees, manage direct deposit, and provide your clients’ employees with self-service tax forms and pay stubs. In addition, it’s set up to support clients in Canada as well as the U.S. Wave Payroll integrates seamlessly with Wave accounting software. Wave Payroll costs your clients between $20 and $35 per month plus an additional $4 per employee or contract worker. The difference in price is due to whether it can do state tax filings or not. In states where Wave files the taxes on behalf of your client, it’s $35 per month. Clients in all other states cost only $20 per month, but you’ll have to calculate and manage state and local tax filings yourself for those clients. Wave payroll is an easy choice if you or your clients are using Wave for accounting. They provide scanning software, priority support, leave calculations, payroll reminders, self-service check printing, and secure collaboration with your clients. In addition, if a seasonal employee is put on hold (such as during a seasonal layoff), no monthly fee is charged for that employee. Wave provides state-level tax compliance in six U.S. states, unlike all the prior providers that have labor law and tax compliance in all states. That means you’ll need to double-check to ensure there are no sick leave or overtime issues if you run payroll for employees in certain states that mandate sick leave or accrue overtime differently. To secure your clients’ data, they do automatic backups and provide 256-bit encryption. Wave provides an intuitive, icon-based dashboard and makes it easy to migrate your payroll clients’ data from another payroll application. In fact, they provide step-by-step details on how to do so. And if you’re looking to switch both accounting and payroll, they offer helpful instructional guides to convert your data to Wave from FreshBooks or QuickBooks. 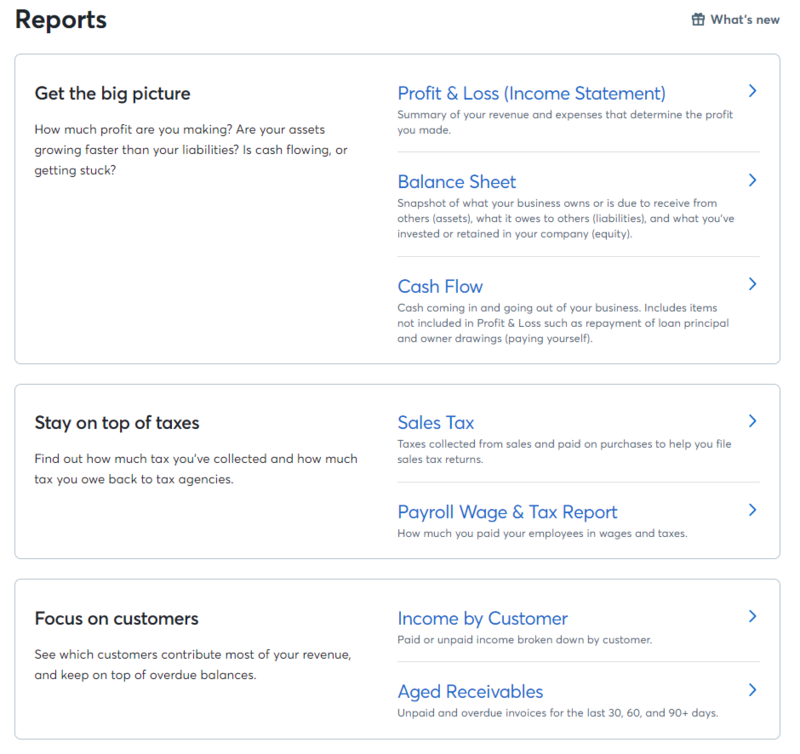 Wave provides reports in five categories, such as Big Picture, Stay on Top of Taxes, Focus on Customers, Focus on Vendors, and Dig Deeper. In addition, you can drill down on data by person (employee) or account (such as payroll or benefits). In addition, payroll data like pay history can be downloaded into CSV and Excel file formats for further analysis. Wave Payroll integrates with free Wave accounting software, and you can use Zapier to connect other business applications to Wave. The accounting software also has some CRM integrations. However, it doesn’t have pre-built integrations to other general ledger and timekeeping software like other payroll packages do, such as Gusto, ADP, and Paychex. Wave supports Canadian employers as well as U.S. employers. Other than using their online help center, blog, and community, the only options for customer support are to use the help button within your Wave account or submit a support request from the website. They’re also online on LinkedIn, Facebook, and Twitter. Wave is currently set up to do tax filings in only six states: California, Florida, Illinois, New York, Texas, and Washington. In addition, there’s no dashboard view for accountants (you’d need login access for each client). Further, there’s no direct phone support if you have an urgent issue. In spite of its low cost and integration to free Wave accounting software, Wave earns consistent four out of five-star reviews on our Wave reviews page and third-party online review sites. Those who love it enjoy the price and easy-to-use dashboards. Others find it disappointing that Wave doesn’t provide labor law compliance in all 50 U.S. states. The best way to get started with Wave is to join their Pro Network and sign up for their free accounting software. Getting access to their accounting software can be done by providing your email and password, or signing up with your Google ID. OnPay is priced on the lower end, similar to Gusto, QuickBooks, and Wave, making it affordable for your business clients. Similar to Gusto, it simplifies data entry by allowing your clients’ employees to onboard themselves. Its advantage is that all its support staff are certified payroll experts, so you know your setup is done correctly, and questions are answered by a payroll specialist. OnPay provides robust client reporting. OnPay lets you simplify your accounting practice by running payroll when you want, and integrating with common business apps. 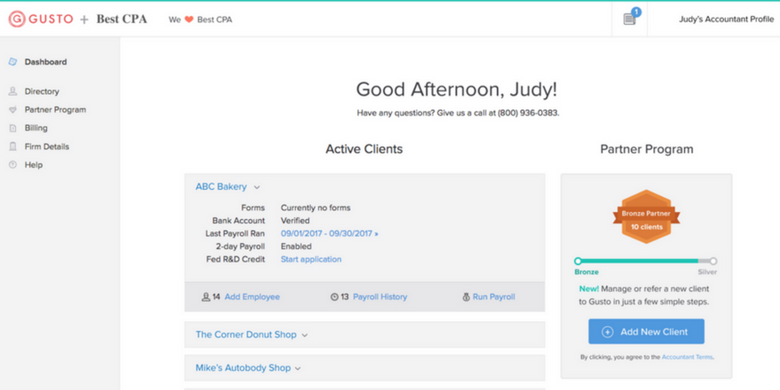 Like Gusto and ADP, OnPay also lets you help out with your clients’ HR and benefits needs. You can process payroll on any cycle and provide client employees with direct deposit or pre-paid business cards in addition to printed paychecks. In addition, OnPay does all the payroll tax processing and payments without any additional upcharges. Other than printed year-end tax forms, it’s all included. OnPay is priced at $36 per month plus $4 per employee, and is therefore on the lower end cost-wise. That means you can pass the savings on to your clients. Like Gusto, they offer clients the first month free, and since they set the data up for your clients, the account setup takes just a few minutes. Unlike ADP and Paychex, which charge per payroll run, OnPay provides for unlimited pay runs (like Gusto), charges no additional fees for direct deposit or debit card payments, and doesn’t charge you for quarterly or annual tax filings. W-2s are provided for free if they’re downloaded. Otherwise, they’ll print and mail them for $5 each. You can choose to have them bill clients directly, and they’ll pass on the savings to you, although the amount of savings isn’t something they publish on their website. In addition to managing client payroll, you can use OnPay to add value by offering your clients basic HR support, such as employee onboarding as well as pay-as-you-go workers’ compensation and health benefits. It’s a model similar to Gusto. In addition, OnPay provides you with a free library of HR forms and a document vault. It’s secure and guaranteed to be accurate, and the best part is that they manage the client data setup, which reduces data entry errors. OnPay provides federal and state tax compliance. Like QuickBooks Intuit Online Payroll, they guarantee your calculations are correct and will pay any penalties incurred by their users for incorrect payroll or tax calculations. OnPay is fast, and you can run payroll in minutes. And, there are no extra charges for pay run changes, corrections, or cancellations like there are with ADP and Paychex. Like the other software we’ve reviewed, you’ll have a client dashboard and can set up custom workflows and approvals for each client. You can also assign tasks and track payroll deadlines so that you don’t miss a key event, such as adding quarterly bonuses for a client’s sales team. It’s easy for your clients to use, and it provides employees with online access to enter their personal data, review direct deposit pay stubs, and download tax forms. They can even make changes online when, for example, they move or change email addresses. Similar to Gusto, they’ll take on the migration of data for your existing account for free. New hire reporting is made to the state as it is for all the packages we’ve reviewed (except Wave). Using an accounting dashboard, you can quickly toggle between clients and run client reports. In fact, reports can be filtered by date, ID, location, department, or employee and exported in XLS and PDF file formats. OnPay integrates with common HR, timekeeping, and accounting systems such as Zenefits, Xero, When I Work, and QuickBooks. They also have integrations to lending partners, 401(k) providers, and a poster distribution service. Like QuickBooks Intuit Online Payroll, OnPay supports REST API so that you can interface with other business software. Like Gusto, OnPay provides HR onboarding, health insurance, 401(k), and workers’ compensation. And they also offer lifetime accounts, multiple payment types (including debit card and pay cards), and a document vault. OnPay provides revenue sharing like most of the other payroll software we’ve covered that are best for accountants. Support is provided by certified payroll professionals Monday through Friday from 9 a.m. to 8 p.m. Eastern time. Support is available by phone, email, or online chat. In addition, they provide a knowledge center and a direct phone number. You can even have OnPay bill your clients directly for their payroll services while ensuring you receive the savings. OnPay has no support on weekends. Its 401(k) is offered through a third party. And unlike Gusto and QuickBooks Intuit Payroll, there are no volume discounts—even if your client has 100 employees, they’ll still pay $4 per month per employee plus the $36 monthly service fee. OnPay has solid online reviews in the four-to-five out of five-star range. In addition to its affordability, business users rave about the customer service. On the downside, its reporting and data formatting options may require you to do some data manipulation to integrate with your general ledger system. Here’s what small business users say in our OnPay Review. To get started with OnPay you can go to the Accountants tab on their website and fill out a form with your name and email. They’ll contact you to learn more about your clients and your payroll needs, and offer you a free, 30-day trial of the system. We recommend Patriot for accountants, CPAs, and bookkeepers who want to become a Patriot Certified Advisor and get free payroll for their own staff. 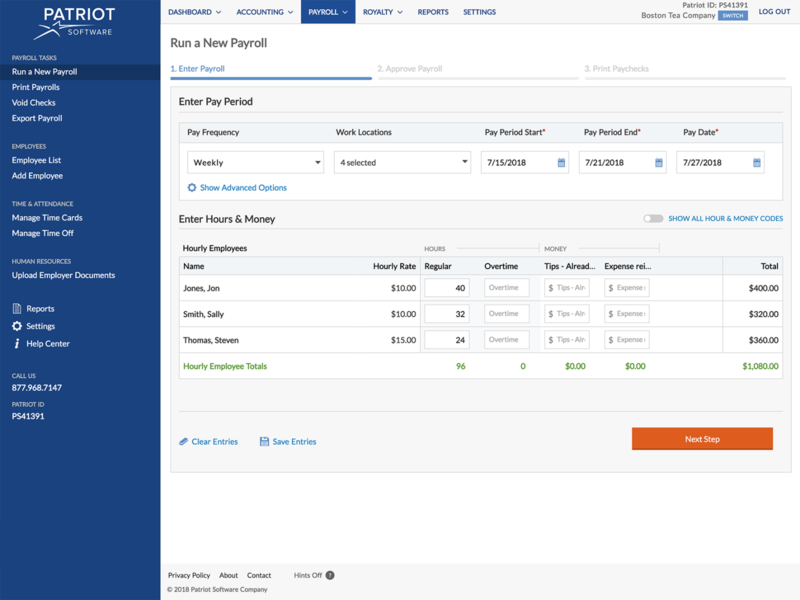 Patriot is well known by small business owners as affordable payroll software that provides free direct deposit, guaranteed accuracy (like QuickBooks Intuit Payroll and OnPay), and flexible pay schedules. Running payroll is basic with Patriot. Patriot charges accountants between $5 and $15 per month, with an additional $0.50 to $1 per employee per month based on the number of clients you have. That makes it the lowest-priced service for your clients, and you’ll get a 50% discount off your accounting software if you purchase both Patriot accounting software and payroll. However, like Intuit, they charge an extra $10 for each state that you file client payroll taxes in. These prices are significantly lower than what your clients would pay if they purchased the software on their own. In that case, it would cost between $10 and $30 per month, plus $4 per employee per month for basic and full-service options respectively. In addition, if you want to set up (optional) co-branding for your clients, the one-time setup fee runs between $250 and $500, and then they charge $2 to $5 per client each month for use of the co-branded site. Like Intuit, the more clients you have, the less you pay per client and employee features. In fact, if you have six or more clients, you can pay your own employees for free. And if you have 51 or more client accounts, set up and co-branding are free also. Patriot features all the standard payroll services such as processing earnings, deductions, filing and remitting taxes, and detailed payroll reports. They offer multiple pay schedules and you can support clients in multiple states, as well as both hourly and salaried workers. However, they require you to use their accounting software if you need to process 1099s, and contract workers can’t be paid via direct deposit. Patriot provides hourly and salary compliance with state, federal, and local tax filing if your clients pay for the full-service payroll option. They guarantee accurate calculations through testing and auditing, and they’re bonded. Data is protected by redundant firewalls, servers, and bank-level encryption. Processing is 100% online, and they provide hands-off tax services. You can view multiple clients and set up additional users in each company, if, for example, you want managers to enter hours worked to be approved by the business owner before you run payroll. In addition, like Gusto, Patriot offers your clients’ employees a portal that they can use to access their own payroll information, such as personal data and payroll history. Patriot provides detailed payroll reports standard for the most common payroll reporting needs. Examples of reports are the payroll registers, time off, check and deposit payment details, deduction history, and individual paycheck history. They also provide reports for tax deposits and tax liabilities for their full payroll service clients. Patriot payroll integrates with QuickBooks online. However, if you use the QuickBooks Desktop, you’ll need to export data from Patriot into the desktop version. You can also, of course, integrate Patriot payroll with Patriot accounting. Unlike most of the other software we reviewed, Patriot does not have an API. Patriot can manage reported tips and tax withholdings. If you used both Patriot payroll and their accounting software, you’ll get a 50% discount. Like ADP, you can earn royalties on referrals of Patriot software to your clients. Time and attendance, as well as basic HR software, are additional paid features your clients can choose to add on for $4 to $5 per month. However, that’s much more expensive than if you offered Gusto (HR is included) and Homebase (free timekeeping) together instead. Online chat is provided Monday through Friday, 8 a.m. to 8 p.m. Patriot also provides online help for you, your clients, and their employees, as well as online training videos. Their phone number is provided directly on the website. Patriot does not integrate with third-party time and attendance systems; time entry will therefore be manual unless you add on their proprietary timekeeping system, which is pricey. In addition, it only integrates with two accounting software systems, Patriot and QuickBooks, and it is set up for use in the U.S. only. If you need to process payments for independent contractors, you’ll need to do that through your accounting software or Patriot’s 1099 software, as unlike most of the other payroll providers, Patriot payroll doesn’t process contract worker payments or 1099s. In addition, it lacks a mobile app. Patriot payroll software is rated in the three to five out of five-star range on various online reviews sites, including Patriot Review, where it received five out of five stars form small business users. With Patriot, you have to apply to their advisor program, which is free. They will then ask you to watch a video and answer a few questions to earn your certification. That’s also free. You’ll receive a badge you can place on your website and can begin offering clients payroll services, earning revenue for referrals, and gaining access to the discounted pricing as shown above. We find the seven payroll software options above to be best for bookkeepers, accountants, and CPAs who do payroll for their clients. However, there are alternatives based on your clients’ needs and/or existing software you may be using. SurePayroll Accountants who want to offer a streamlined version of Paychex for resale. Sage Payroll Accountants supporting businesses using Sage50 ERP software. Freshbooks Accountants whose clients are using Gusto for their HR/payroll. Square Payroll Retail clients using Square for their POS system. Kashoo Canadian businesses that want a low-cost accounting system that comes with payroll for under $20/month. Paycor CPAs who need an affordable HRIS/HRMS system for clients up to 10,000 employees. Paylocity Bookkeepers and accountants who want to add HCM consulting to their practice. AccountEdgePro Accountants running their business using a MAC or Windows desktop operating system. TSheets Firms running QuickBooks that want to offer scheduling and timekeeping with payroll. The first step in choosing the best payroll software for your bookkeeping or accounting business is to determine which accounting software you and your clients prefer, and then find the payroll software that can share data with that. You may also want to ensure that time and attendance data can be interfaced using free or low-cost software, like Homebase or When I Work, to save you and your clients from doing duplicate data entry. We find Gusto to be the best payroll software for accountants managing small business payroll because it provides you and your clients with a dashboard, clean interface, and mobile-optimized website. Plus, you could earn up to 20% in commissions. Gusto is affordable, starting at only $45 per month for your clients, and they offer a free 30-day trial.